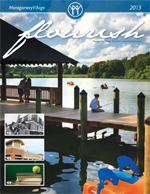 In 2012, the Montgomery Village Foundation embarked on a branding campaign called "flourish" to remind current residents of what Montgomery Village is—a community rich in history, poised to continue the developers vision for the future, and to attract non-residents and potential homebuyers to the area, introducing them to all the Village has to offer and establishing Montgomery Village as a premier community in the Washington, D.C. metro area. 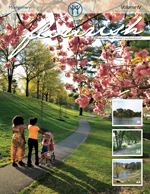 Through articles, photos and social media, residents gained more insight into their community and were able to share that with others outside the Village borders. 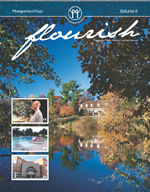 As a part of the campaign, the "Flourish" magazine was produced, showcasing many of the aspects that make Montgomery Village a unique planned community in the heart of Montgomery County. 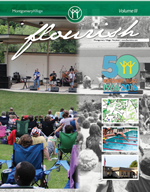 Below are the four issues produced as a resource for current and future residents of this great community.